Its never been easier or cheaper to understand your customer. Understanding your fans has never been more important. Knowing who they are, where they live, how they live, and what they like is vital to your business. First, we are hitting peak sports sponsorship, especially with large firms. Branding is not a problem for many of the worlds largest companies. Google, Intel, and Amazon are a part of our daily lives now. They just don’t get the bang for their branding dollars any longer. Simply put, Microsoft and Google don’t have brand awareness issues, so don’t ask them for branding dollars. Second, it’s never been cheaper or easier for companies from commodity sectors like beer, insurance, or automotive to spread small amounts of targeted ad dollars on digital platforms like Facebook. The old model was that these companies would spend larger sums on branding campaigns with sports leagues or teams with strong metrics in key demographics. But the world today is moving from segment demographics to personal psychographic. Third, the sports world is competing with more entertainment properties than ever before. The Dallas Cowboys used to compete for local sponsorship dollars with the Texas Rangers, or the Dallas Mavericks. And at the national/global level they’d maybe compete with the New York Giants, or Los Angeles Lakers. However, leagues and teams are now competing with YouTube stars, Barstool sports, and any other content creator/producer. So, what is a little old sports team to do? Understand. Clubs must get to the point where they know who their fans are, how to reach them, and how successful they are at converting them into customers. They cared about one thing and one thing only, how would a partnership give them access to people and a way to have one on one conversations with customers. They wanted a lead list, not a branding activation. The old models of advertising are being rewritten today. The average tenure of a Chief Marketing Officer for companies is 44-months. Marketing dollars are shrinking or reallocated by algorithms and specialists who do not care about the things those in sports believe are unique about our industry. It’s all about the numbers now. The name of the game is customer acquisition, and the quicker teams hone in on this and begin organizing their fan data the more attractive they will be. The leveling off of sports branding sponsorship is coming, and it’s time to get serious about understanding how to build your customer data programming. So as a sports club, what can you do? For one thing you can begin telling a better story internally about your fanbase. Using companies like Vertical Mass, which has free to use product that gives sport and entertainment properties insights into the visitors who go to any team controlled digital portal. Companies like BlinkFire Analytics help turn data you currently own into insightful information. And companies like Block Six Analytics or VBrand are creating new methodologies to value sponsorship dollars in more targeted ways or using Artifical Intelligence. But, if you’re like most clubs, the first thing is either telling an internal story, or simply wrapping your arms around your data by implementing a good fan data architecture that includes a CRM tool, database, and frontline analytics interface. Companies like Salesforce, Kore, Microsoft, and SAP provide solutions for this space, but you need to know how to wield those tools. Lastly, once you have somewhere to store your data, then you can begin to think about clever ways to collect more data. That may be through a wholly owned fan OTT channel, retail data targeting with companies like GotU or through social media data mining. 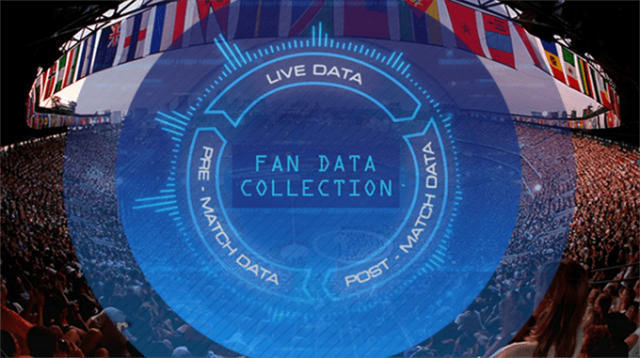 Creating a fan data and digital strategy is no longer a luxury, it is now a necessity for survival. It’s no longer good enough to say you have 35 million fans following you on Facebook if you cannot actually target each of them individually. Facebook can, which is why they allow you to use their channel to make money around the margins of their platform. While you’re collecting pennies for CPMs on Facebook they’re collecting dollars for individual targeting. And guess what, if you work in Europe things just got even more trickier due to the GDPR regulations now in effect. It’s never been more important to hit pause and assess your data strategy. Give us a jingle if you'd like to talk. PS – if you’re in the EU and receiving this send me a message telling me it’s okay to keep you on this list, otherwise you’re coming off next month!